Nota: Su Consulta se enviará directamente a INVT Solar Technology. 5. Pantalla LCD, fácil de instalar y mantener. 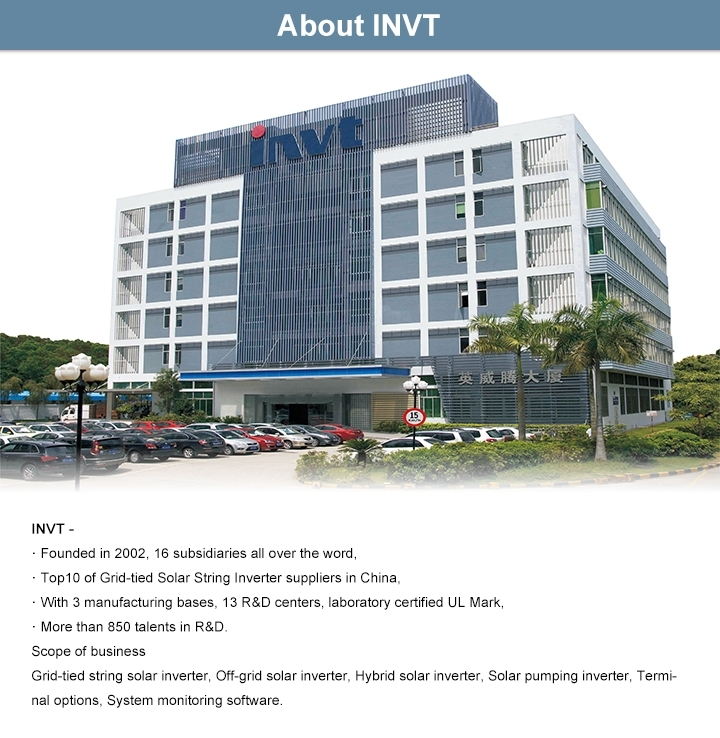 Since 2002 INVT developed the first generation inverter, it has 15 years of experience in the accumulation of power electronics technology and invert technology, with 13 R&D centers, with laboratory which awarded ACT from TUV SUD and WTDP-UL qualification, recognized by CNAS. More than 10 % of sales revenue is invested in R&D, and now it has 800 pcs of patents. 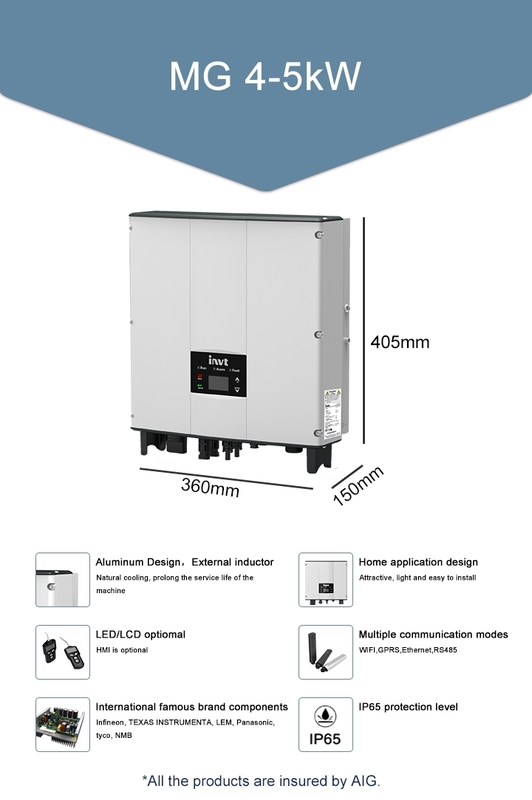 Its iMars series grid-tied solar inverters have a better performance on the aspect of product stability, efficient power transformation, low harmonics, safe power grid access and so on for its top-level R&D team. It has come into an unique advantage in product technology. They can be widely used in distributed solar grid-tied power generation systems, such as BAPV (house roof, office building roof and factory roof), BIPV (integrated residential buildings), commercial plants and so on.